Attention, all you Big Bangers – – the Dimensioneer is back! The cosmic hero, who debuted in Big Bang Comics #’s 20 through 22 has returned in a fantastic mini-series published by Xomics. 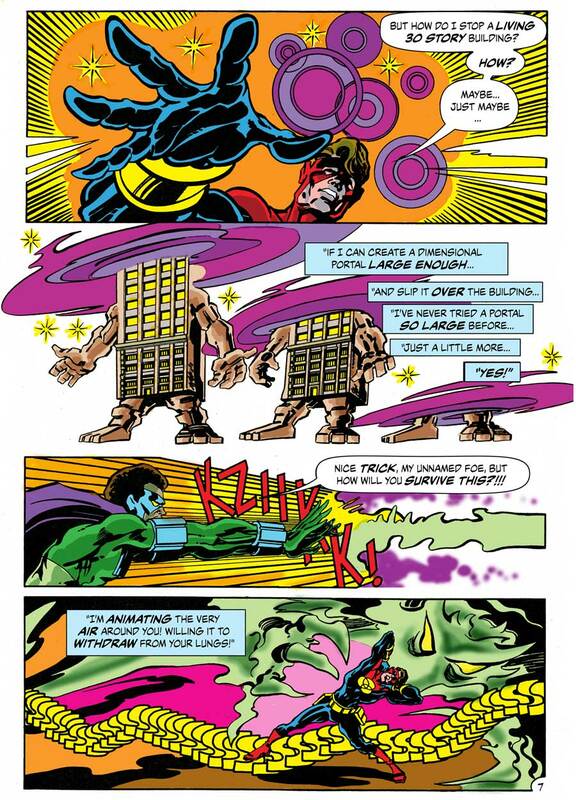 The Dimensioneer is a labor of love by the long-time comics pro Dan Reed, written-illustrated-lettered-and-colored by the veteran of Marvel, DC, Charlton, Image, AmeriComics as well as my own Megaton and Big Bang. 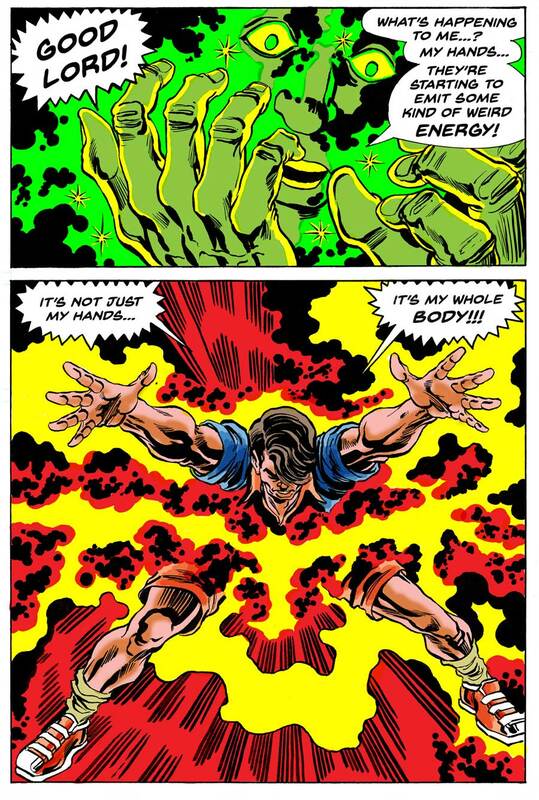 Unlike many of the Big Bang characters, the Dimensioneer is not an homage to any particular hero. 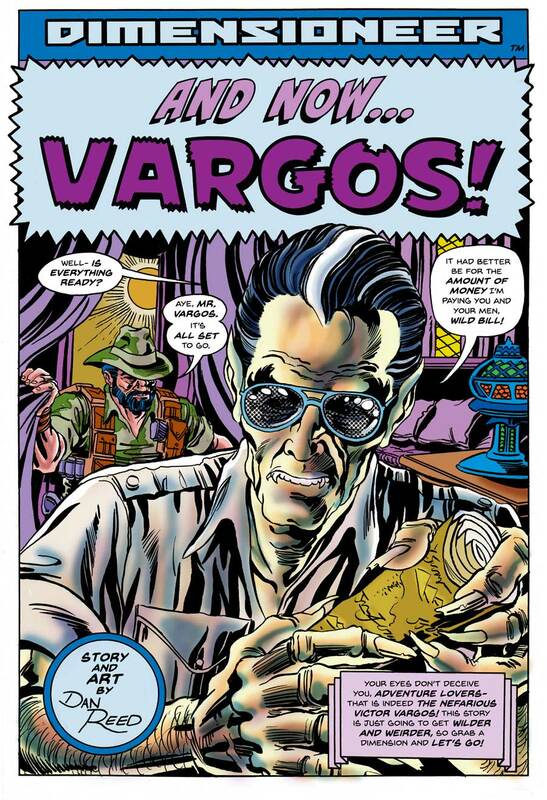 He is more like an embodiment of the Silver and Bronze Age of Marvel Comics – a flawed character with a great rogues gallery featuring Dr. Insect, the Outrageous Animator, the Better Half, and master vampire Victor Vargos. And that doesn’t even include the dark gods Maltavic and Zaltavar, or their master Ch’thulu, who is known on Earth as Satan. 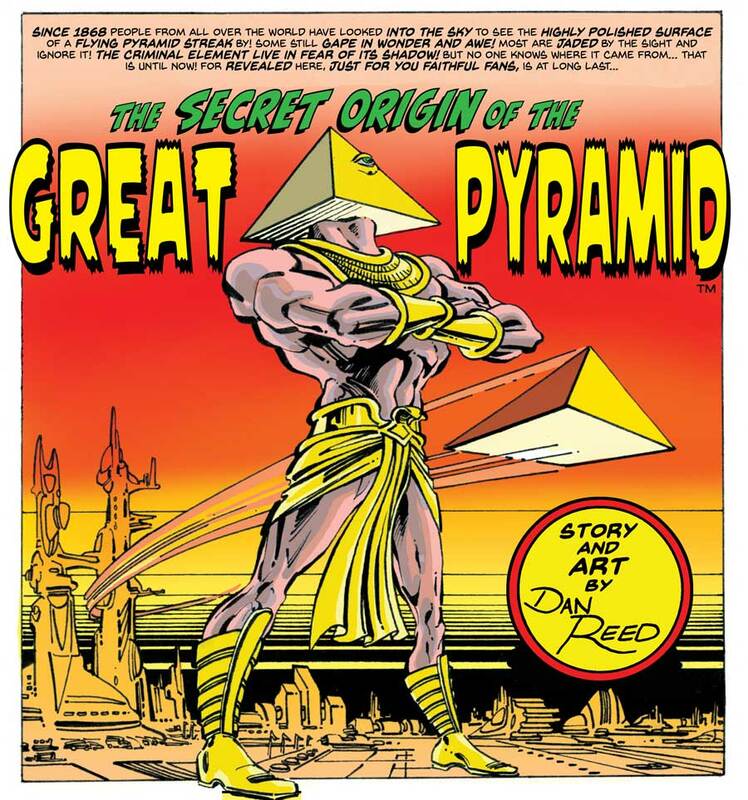 Or the Dimensioneer’s pals like the Great Pyramid and Bob Barricade. http://dimensioneer.com. (While you’re there, check out the Fabulous Funnies pages for my old Nero comic strip). The first three issues of the Dimensioneer are available right now in a limited print run of of 50 copies, and will be the only ones that have “First Printing” in the indicia, and they come with a free button!! Be a Dimensioneer! Send your $20 via Paypal to thedimensioneer@gmail.com to get all three “first printing” issues, and go through the dimensional portal to action and adventure! After this initial print run, all subsequent copies of the books will all be labelled POD EDITION, available through Indy Planet at http://www.indyplanet.us/product/151845/ as either print-on-demand or digital downloads. 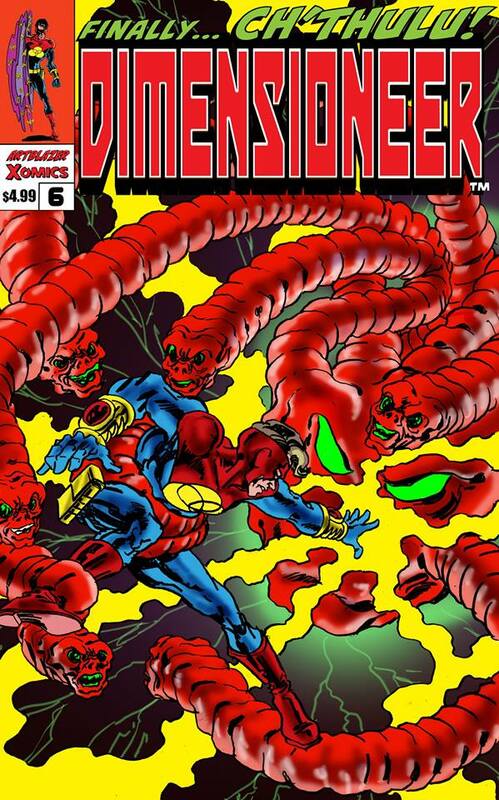 After the events in Dimensioneer #s 1 through 6, the adventures will continue in the pages of Xomics. For now, if you like exciting, fun comics then the Dimensioneer is for you! Check it out and order today! You will be glad that you did.